Custom logo design for Akron, Ohio based counseling service to promote their newly opened professional development center. 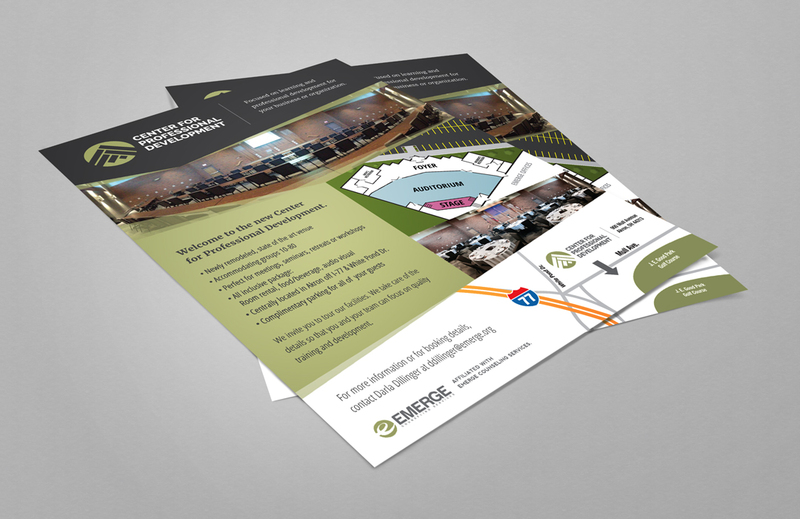 SMD worked closely with the staff of Emerge Counseling Services to develop the new logo design and promotional material for the center. The CFPD logo takes on a unique look and feel that is also consistent with the current EMERGE brand standards. The icon is inspired by the unique architecture of the building that utilizes sharp angles and integrated used of triangles.